Since February 1999, Criseyde's David Selby Site has chronicled the career -- past and present -- of the actor known for roles on Dark Shadows, Falcon Crest, Flamingo Road, and S.O.F. A complete list of the webrings to which this site belongs is available on the Awards & Webrings page. Please do not copy text or photos from this site without prior permission. For more information about this policy and why right-click has been disabled, click here. You can help support this site by using any of the Amazon links to purchase any item from Amazon (Selby-related or not). 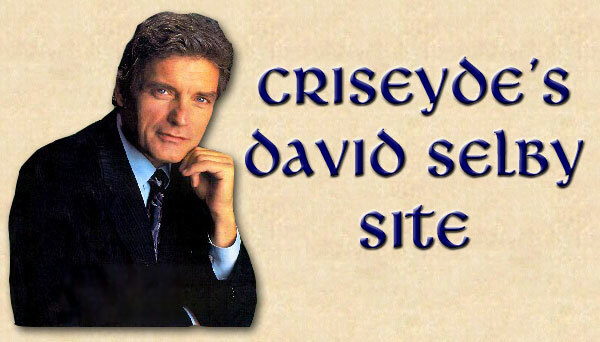 Criseyde's David Selby Site is an unofficial fan site.